I hope everyone is recovering from being stuffed full of delicious food and good company. To those daring and willing, I hope you found success on your weekend shopping. Just before the holidays, I was delighted to have an extra treat for my Thanksgiving. A favorite author of mine published her book early and I was able to tuck it away for holiday reading. The Gloria arc started strong for me but lost a little of its pizzazz in this novel. We've been through England, Prussia and Italy with Lady Claire and her gaggle of orphans. We've been to the Texican Territories and the Canadas with Alice and her Stalwart Lass. Now, we are exploring Colorado and the Californias with Gloria as she attempts to stop a war in a man's world. It has been a worldwide adventure with these ladies of breeding and character, and I have loved every minute. 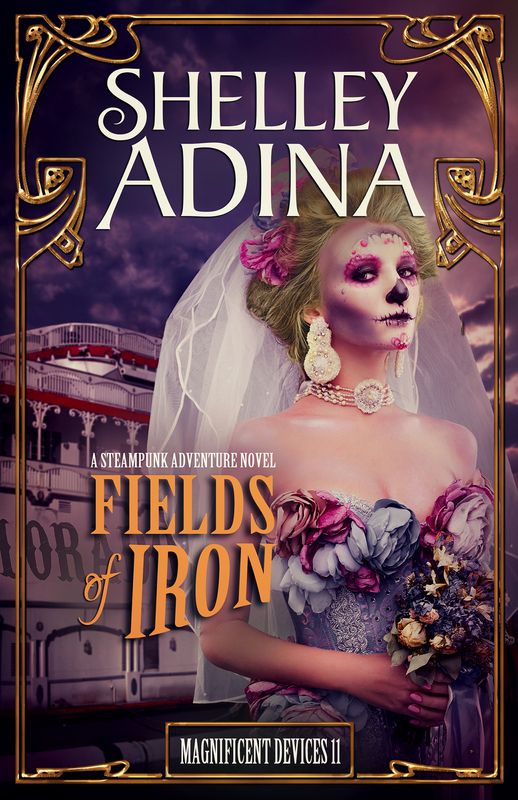 Fields of Iron was one of the weaker novels, but the pages kept turning and important information was given. The end even included enough tidbits to have me anticipating eagerly Fields of Gold, even if it will be the last in the series. This is an all-time favorite series of mine and not one part of the series has disappointed. Some are more strongly written than others, but not a single one will fail to entertain or keep you from binge-reading. That is a very rare thing to say indeed. In the sentiment of Evan Douglas, this post was bittersweet. This is the eleventh book in the "Magnificent Devices" series, and the penultimate for the series. I will certainly be sad to see this series go.